60% – Populations of mammals, birds, fish, reptiles, and amphibians have, on average, declined by 60% between 1970 and 2014, the most recent year with available data. 50% – The Earth is estimated to have lost about half of its shallow water corals in the past 30 years. 20% – A fifth of the Amazon has disappeared in just 50 years. We are not only destroying the natural world, we are also putting ourselves in peril. There’s not much time for humans to stand up for nature and develop concrete, sustainable plans to reduce and turn around the damage already done to wildlife and the planet. Read the WWF’s Living Planet Report 2018 here. Read our November Edition of News on the Wing here. Just over a year ago we lost two beautiful souls, Alice (Warden) and her beautiful Amazon Penne. The Roost thanks our close online flock, and especially Coco the Parrot, for forwarding so many wonderful pics to share with everyone in honour and remembrance of a lady and her birdie, both of whom brought much love, joy, silliness, and laughter to many, many lives. Alice and Penne, you are missed so very much. Your candle will continue to burn bright in all of us forever and for always. A rose, from Coco, to remember Alice. If it weren’t for Alice and Penne, many of us (affectionately known as ‘Anipals’) would likely have never connected, so thank you Alice and Penne for bringing us all under your wing and into your loving embrace. Here’s to you Penne and Warden, love you, always. The silly and saucy side of Alice and Penne! Penne, you are so loved, and so missed by your best friend Coco. Chloe Moorer, of Columbia, SC, passed away after an accident on December 2, 2017. Born in 2003 in Florida, she was moved to Parrot Mountain and Gardens in Pigeon Forge, Tennessee, where she was lovingly adopted on May 20, 2010 and moved to Columbia, SC, with her new flock. Chloe was a sweetheart and a beauty queen. She loved hanging out with mommy, sitting on the porch, playing on her play gym, holidays, celebrations, visiting family and friends, interacting with her friends on Twitter and at the ConureCorner website and blog, and sticking her nose into whatever her flock was doing. Chloe was an avid fan of the University of South Carolina, the University of Tennessee, Bruce Lee, Superman, and most of all, Captain America. She enjoyed giving kisses to her mommy and grand-mommy, drinking daddy’s juice, eating good food, a rousing mystery, listening to mommy’s stories and ideas for novels, and looking her best. Chloe starred in several Anipal Land stories on the ConureCorner blog, alongside her Twitter pals, as a Kung-fu master who helped to save the day. Chloe is survived by her parronts, Rick and Sherri Moorer; her brother, Zacchaeus (Zack, a sun conure on Twitter as @wazzupzack); and her sister, Bubbles (a blue Moncks Parakeet, on Twitter as @CaptainBubbs). She was pre-deceased by a brother, Oliver (Ollie, a green budgie who passed of cancer in 2014). Chloe was a kind and generous bird, and a great listener. She is greatly loved and missed. I never met Margrethe Warden in person, but rather through a Pionus Parrot email group – listserv type of thing: yeah, way back before Facebook and Twitter. It was the mid to late ’90s and I was just getting my feet wet with bird companionship. I had a red bellied parrot named Quark and found that he was becoming aggressive and bitey. I was looking to find a species of parrot that was hopefully less prone to being aggressive. That’s how I found the Pionus Parrot group, and Margrethe. Margrethe was a true aviculturist, knowing so much about almost all parrots, but especially Lory species and Pionus. I still have many of those ‘old emails’ from way back when, and I looked through many last night, remembering and rejoicing in the banter Margrethe and others shared about birds, life, politics, etc. She was a strong-minded but always warmhearted person who was not shy about sharing her opinion or perspective on any range of topics. At the heart of any and all of her words was love, dedication to birds and nature, and an unbridled commitment to social justice. Margrethe walked her walk and talked her talk; she was real, she was true to friends and connections, and she has had a lasting, significant impact on a great many people around the globe. I was heartbroken to learn of Margrethe’s sudden passing, I still can’t believe she’s gone, I just can’t. A kind, quick-witted, funny lady who welcomed me to the world of birds, specifically Pionus, all those years ago. God it’s truly unbelievable that she’s gone from this world. My sincerest and heartfelt condolences to Margrethe’s family, I cannot imagine your pain and grief with her sudden passing. Lying awake last night I realized that it was through Margrethe and that little band of Pi lovers that my circle of friends has expanded beyond Pionus, and extended around the world. I honestly didn’t realize the impact Margrethe has had on me. If it wasn’t for her I likely wouldn’t have sought out and found Guga, my first Pionus, a White Capped. Margrethe talked me through weaning Guga and just what to expect with a Pi. 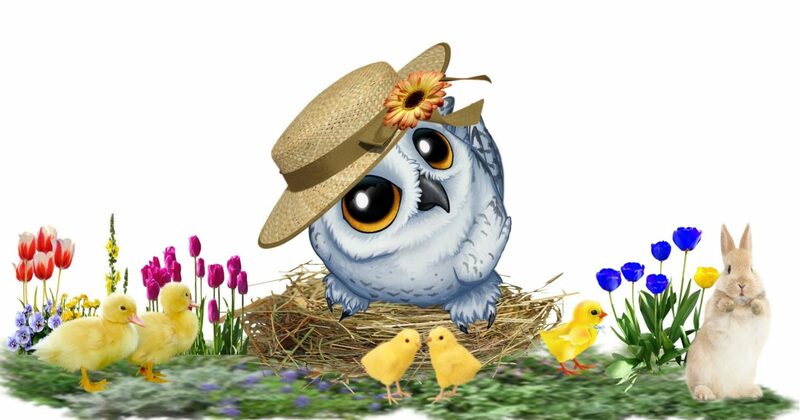 Somewhere between the listserv and the launch of social media, our little listserv got less and less interactive, but not for Margrethe, she kept responding to emails and birdie questions. When she opened her Facebook account, it was just like the listserv, but a smoother interactive format. Margrethe’s bigger-then-life personality came through so wonderfully – sarcasm, humour, wisdom and reflection. As if on cue, this pic turned up on my FB Profile yesterday and I just had to share and dedicate to Margrethe. Saying, “Hee hee, this is for Margrethe Warden and her precious, annoying Winston 😂😪” , it was in response to few years back when Margrethe was embroiled in a battle with a woodpecker named Winston. Winston persisted in knocking on her bedroom window early in the morning. She cursed Winston, while at the same time loving him I’m certain. My apologies for the language, but it’s what Margrethe would have thought, likely said to Winston all those times, and ‘Loved’ when I originally posted on FB about a year ago. Margrethe, I’ll miss your pithy sarcasm, your love of baseball, and your bottomless, endless love and commitment to birds, the natural world, and to humanity. I am so shocked, so saddened to know you are no longer in this world. Rest in Peace Margrethe, you made a tremendous impact on many. I’m honoured to have connected with and known you for all these years. With a heavy heart and teary eyes, I posted on Twitter last night the following: Goodnight everybirdie, sleep well. Say a prayer that those you hold most close to your heart are there beside you tomorrow as you awake to a bright new day. Today I was reminded of how fleeting life is. Fifteen + years ago Margrethe Warden entered my life, last night she left this earth much too soon. Rest in peace M, I miss you. We will never forget Alice and sweet Penne, never!